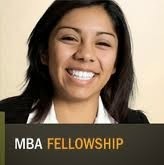 Stanford Graduate School of Business has started application for Stanford Reliance Dhirubhai MBA Fellowship. This scholarship for Indian Citizens and interested for giving their contribution for Human and Socio Economic Program. The student who got this scholarship has to return India within two years. Selected Candidates will have Tuition Support and Associate Fees. This Scholarship has been started in April 2008 with the help of Reliance Industries. This scholarship will help those Indian Students who will have to study their MBA from Stanford University. Students who are selected in this fellowship who can join class in September 2015 and will complete their MBA program in 2017. GMAT or GRE and IELTS, PTE, or TOEFL if applicable. The deadline for the fellowship application for entrance in September 2016 has passed. You may still apply to the MBA Program for fall 2016.